Schools are meant to be a safe place for children and youth. The safety and support of a child’s school environment plays an essential role in their development and success. When students feel safe and supported at school, they are likely to have better school attendance and academic achievement, and they are less likely to engage in risky behaviors such as substance use and violence. Unfortunately, there is an undeniable, increasing prevalence of emergency situations in schools. Exposure to violence at school is associated with many negative outcomes for students, including depression, suicide, substance use, academic problems, and violent behavior. The fear of violence alone can affect students’ development, concentration, and ability to learn. In this full-day conference, presentations will address threat assessment models, school teaming, and other prevention strategies. Conference participants will be provided with culturally responsive interventions, tools, and resources to more effectively assess for and enhance school safety, increase response effectiveness, and improve school/community/parent communication. Register early for Early Bird admission! Early Bird admission is open until April 30, 2019. Completion of this conference qualifies for 7 hours of continuing education (CE) credit. To view the conference flyer click here. The conference begins with registration and a continental breakfast from 8:00 am - 8:30 am. The conference will begin promptly at 8:30 am. There will be a a midmorning 15 minute break, an hour lunch, and another 15 minute break in the mid afternoon. The conference will end at 4:30 pm. Where do I park and how much is it? The registration fee for the conference includes parking. Validation coupons will be handed out during conference check-in. 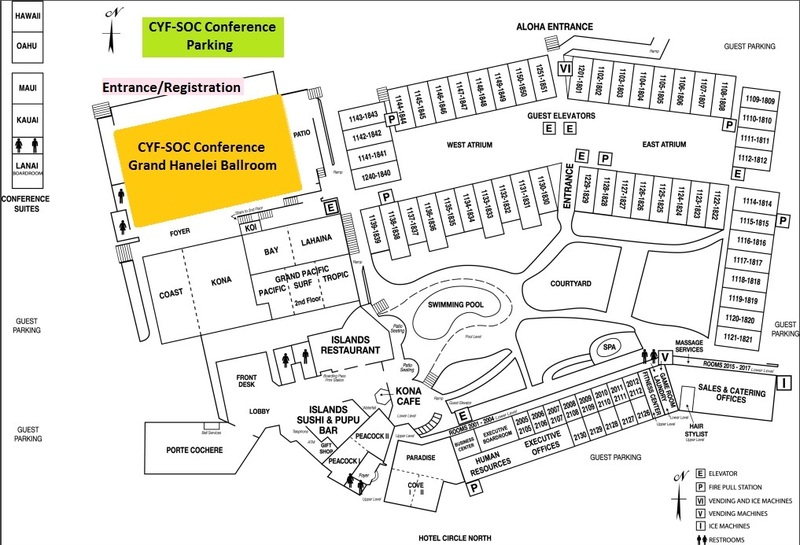 Parking for the conference at Crowne Plaza Mission Valley will be in the north parking area by the Grand Hanelei Ballroom. Click here for a map for parking and the Grand Hanelei Ballroom. A continental breakfast will be provided between 8:00 am-8:30 am. Conference participants will be provided with a buffet stlye lunch. Vegan and gluten-free options will be available. Light refreshments will be served during conference breaks. The Academy for Professional Excellence's Continuing Education (CE) provider agreement stipulates that participants cannot receive CEs if they miss more than 15 minutes of an in-person event. However, your ticket is still valid and you're welcome to enter the conference and participate. Visit our website here for more information on our CE policies.